The following is an article highlighting some of the most important and interesting news stories from 2018. Editor’s Note: The following is an article highlighting some of the most important and interesting news stories from 2018. Alpine and Nordic skiers in Fort Kent raise more than $2,000 in fundraisers at both the Fort Kent Outdoor Center and the Lonesome Pine Trails ski resort for St. Agatha teenager Patrick Parham, who was diagnosed in December with lymphoma. Town Manager Donald Guimond informs councilors on Jan. 8 that he is resigning effective March 15. Guimond served the community in this position for 24 years. The U.S. Biathlon International Competition Committee names Fort Kent native Cody Johnson, 20, to its men’s Junior World Championship Team, following his strong performance in December at the U.S. Junior/Youth World Championship Trials in Coleraine, Minnesota. Canadian mushers take the top spots in the newly reorganized Eagle Lake Sled Dog Races Jan. 13-14. Amy Dionne, who maintains her own mushing team at her home in St. David, and a committee of local dog sledding enthusiasts, revived the Eagle Lake competition after it ceased in 2015. They hosted 30-mile and 100-mile races. Caribou Superior Court Justice Harold Stewart II signs off on a settlement agreement declaring Pelletier Avenue in Frenchville a public road. The ruling still did not end the controversy that divided the community of Frenchville for months. Just one month after a Black Hawk helicopter recovered a Maine Warden Service plane that had plunged through the ice on Eagle Lake, workers used a knuckle boom loader to pull a tractor from the same icy water. The tractor fell through the ice about 200 feet out from shore when the operator tried to clear a path to bring his ice fishing shack out on the lake. The driver escaped unharmed. The Long Lake Ice Fishing Derby draws a record 1,101 registrants to the tournament that offers anglers a chance to win prize money and bragging rights for catching the largest of a variety of fish from 10 bodies of water throughout the St. John Valley. Officials with the Maine and New Brunswick transportation agencies, engineering consultants and other representatives from U.S. and Canadian federal agencies unveil a proposed location of the anticipated new international bridge connecting Madawaska with Edmundston. Officials placed a 5-ton weight limit for traffic on the current bridge, which was built in 1921 and is more than 20 years past the typical lifespan for bridges of its type. Nearly 50 local and regional musicians gather Feb. 11 at the University of Maine at Fort Kent’s Fox Auditorium for the annual Fiddlers’ Jamboree. 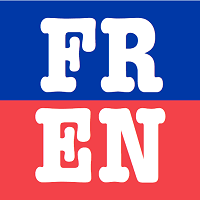 They treat the more than 150 people in attendance to a mix of traditional and modern folk tunes, French songs, country music and even some dancing. Fort Kent Community High School places all six of its girl Alpine skiers in the top 20 of the slalom competition held at Bigrock Mountain in Mars Hill on Feb. 19-20 en route to earning the girls Class B state Alpine championship. Martin Massicotte of St-Tite, Quebec, won his ninth Irving Woodlands Can-Am Crown 250 when he crossed the finish line at 3:09 a.m. Monday, March 5, at Lonesome Pine Trails in Fort Kent, breaking the record eight wins he set the year before. It marked the musher’s fifth straight victory in the longest and most grueling of the three Can-Am Crown International Sled Dog Races. Fourteen competitors shared their talents with a packed house of more than 400 during one leg of the 14th annual United Way of Aroostook Northern Star competition held on March 9 in Fox Auditorium at the University of Maine at Fort Kent. Four St. John Valley residents earned a spot in the March 25 finale at the Caribou Performing Arts Center as a result of their performances at UMFK — Jennifer Raymond, Cady Hebert, Savanna Hanlin and Sadie Cairns. Jana Nadeau of Fort Kent also made the finale by being one of the audience picks during the regional competition show at Presque Isle Middle School on Saturday, March 10. During the Caribou finale, the audience picked Cairns, 11, of New Canada, as the first winner of the new Northern Star junior division. resource officer. Town Manager Gary Picard and the Madawaska Board of Selectmen decided to reallocate some of the town’s police resources to allow Lt. Jamie Pelletier to assume duties as a criminal investigator/school resource officer. 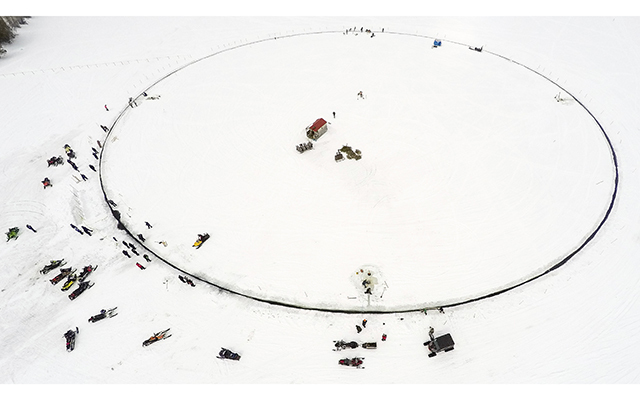 Hundreds of volunteers who set out to create a world record-sized ice carousel on Long Lake in Sinclair saw their perseverance pay off on April 7 as they were able to make a 22-million-pound circular chunk of ice spin, despite previous attempts thwarted by Mother Nature. The volunteers set up four outboard motors to get the 427-foot diameter, 31-inch thick carousel rotating. Janne Kapylehto, chairman of the World Ice Carousel Association based in Helsinki, Finland, sent Mike Cyr of Snowmobile Northern Maine, which helped spearhead the world record effort, a plaque in July to honor those involved with the achievement. On April 10, after organizers and members of the community raised $16,000 for the project, scores gather at the Four Seasons Lodge in Madawaska to officially open the new Deprey Nordic Center. Located near the ski trails, the facility provides a place to store skis and snowshoes, and several benches used for waxing skis. St. Agatha native Tracy Guerrette finishes first among Maine woman and 25th overall among the 13,391 female entrants in the Boston Marathon on April 16. Fort Kent Town councilors on April 23 name Police Chief Tom Pelletier to serve as interim town manager until they can hire a permanent replacement for Don Guimond, who retired on March 15. Runoff from rain and melting snow push waterways in Aroostook County close to or beyond flood stage in early May. The Fish River at Wallagrass crested at nearly a foot above flood stage forcing the evacuation of some homes and closure of Soldier Pond Road. 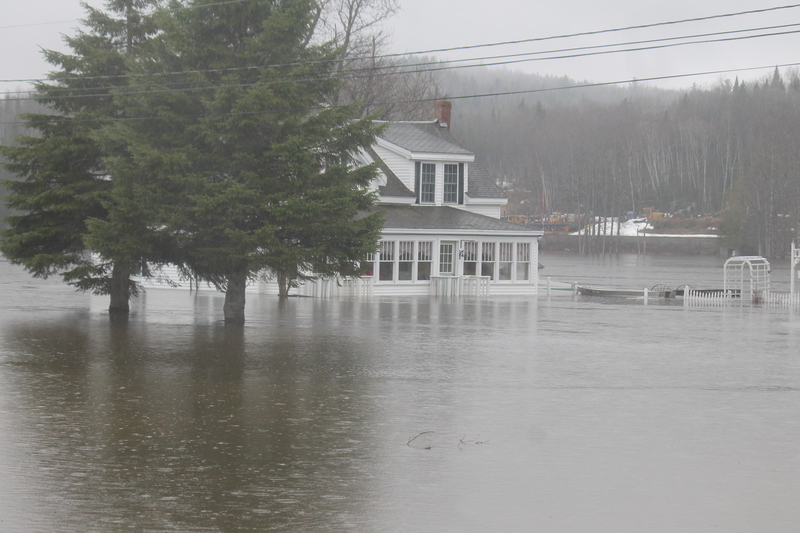 The St. John River at Fort Kent rose to just at flood stage causing minor flooding in low lying areas. Morgan Mitchell of Missouri City, Texas, joins the reporting staff of the St. John Valley Times and Fiddlehead Focus. Family, friends and supportive community members fill the University of Maine at Fort Kent Sport Center on May 12 as officials present diplomas to 227 graduates, including 32 international students representing 14 different countries such as Canada, China, Ghana and Serbia. The American Heart Association recognizes two students from Madawaska Elementary School on May 21, for being the top two fundraisers in the state of Maine for the AHA’s Jump Rope for Heart fundraiser. Sixth-grader Nicholas Poitras contributed $3,458 to the cause, while second-grader Blake Hodgkin raised $3,634 for the cause. Members of the Martin-Klein American Legion Post 133 honor their fallen comrades for Memorial Day by placing wreaths at cemeteries in Daigle, Wallagrass, Soldier Pond and Fort Kent. Fort Kent Community High School freshman Lacy Pelletier becomes the Class C Maine State high jump champion by being the only girl to clear 5 feet during the Class C Maine State track meet in Waterboro on Saturday, June 2. Two weeks earlier, she had cleared that height for the first time during the Aroostook County track and field championship in Caribou, beating her school’s high jump record of 4 feet, 11 inches, which Rolande Vaillancourt had held for 43 years. Students from high schools across the St. John Valley graduate this month and set off to begin careers, serve their country or continue their educations at technical colleges or universities. The state’s highest court rules on June 14 that Maine employers and insurers cannot be compelled to pay for an injured worker’s medical marijuana. In a 5-2 decision, justices with the Maine Supreme Judicial Court ruled federal law takes precedence in the case of former Madawaska millworker Gaetan H. Bourgoin versus Twin Rivers Paper Co. Writing for the majority, Justice Jeffrey Hjelm said the federal Controlled Substances Act tops the Maine Medical Use of Marijuana law. With temperatures hovering around 80 degrees over the Father’s Day weekend, nearly 30 participants race kayaks and canoes down the St. John River during the fifth annual Greater Grand Isle Canoe Kayak Race. Madawaska Police Chief Ross Dubois presents Officer Garrett Albert with a lifesaving pin during a Select Board meeting June 19 for taking quick action to breach an apartment door so paramedics could provide medical attention to an individual who had gone into anaphylactic shock. The parents of Amy Theriault, a young St. Francis woman who was murdered by her ex-boyfriend in 2014, attended a ceremonial signing by Gov. Paul LePage in Augusta of a law enacted to help other families of domestic violence murder victims seek justice. Maine legislators unanimously passed LD 449, An Act To Add Domestic Violence against the Victim as an Aggravating Factor in Sentencing for Murder, also known as “Amy’s Law,” in April. More than 200 firefighters from across Canada and the northeastern United States have been sent to Quebec to help fight multiple forest fires fueled by lightning strikes and dry weather. Despite the distance from the fires, a haze can be seen from the St. John Valley on the Maine side of the Canadian border, and concerned residents called the Fort Kent Police Department on July 2 about the hazy conditions and smell of smoke. Nearly 200 people wear red and gold colors at the Fort Kent Outdoor Center while participating in 9-year-old Devon Cyr’s birthday walk fundraiser in honor of his friend and fourth-grade classmate Kearston Albert, who is battling acute lymphoblastic leukemia. Rather than receive presents for himself for his birthday, Cyr, who has Down syndrome and is a Special Olympian, chose to host the walk to raise funds to help support Albert. He asked that participants wear red and gold because Albert’s favorite superhero is Iron Man. Valier and Theresa Thibeault celebrated their 75th anniversary on July 15 by renewing their vows at St. Thomas Aquinas Catholic Church followed by a reception at Orchids restaurant in Madawaska. The 98-year-old groom met his 93-year-old bride while living in Frenchville in the 1940s. Since then, the couple has grown their family tree with eight children, 10 grandchildren, and nine great grandchildren. After an outbreak of swimmer’s itch strikes visitors to Birch Point Beach on Long Lake, officials from the town of Madawaska and Maine Department of Environmental Protection alert the public to the risk of infection. Area residents remember iconic tavern after Bee-Jays in Fort Kent closes its doors following 47 years in business. The Eagle Lake board of selectmen vote on July 25 to hire James Gagnon to serve as interim town manager. Former town manager Sandra Fournier, who began serving in the role in 2014, left the position on June 29 to become deputy Aroostook County administrator of finance. The Maine Department of Environmental Protection issues a public safety announcement cautioning people to avoid all contact with the Fish River and the St. John River east of Fort Kent after an early morning thunderstorm damages the town’s wastewater pump station, forcing officials to temporarily divert wastewater into the Fish River. Madawaska town officials, members of the St. John Valley Chamber of Commerce and area residents celebrate the opening of the new Farmer’s Market Pavilion with a ribbon cutting ceremony. Members of the Greater Fort Kent Area Chamber of Commerce and town employees gather for a ribbon cutting celebration for a new public parking lot on Main Street between the China Garden restaurant and Aroostook Real Estate office. Bishop Robert P. Deeley of the Roman Catholic Diocese of Portland celebrates a special Mass on Friday, Aug. 3, for more than 300 people at Mizpah, the nearly three-decade-old spiritual retreat in Grand Isle. An emerald ash borer infestation prompts state officials to issue an emergency order on Aug. 10 preventing the movement of certain ash products and untreated firewood in northern Aroostook County. Specifically targeting Frenchville, Grand Isle and Madawaska, the order restricts the movement of the wood due to the detection of the dangerous tree-killing forest pest in that area. Maine School Administrative District 27 Superintendent Ben Sirois announces on Aug.
14, that the Maine State Board of Education has put a collaborative of three St. John Valley school administrative units first in line to receive money from the state to build a new regional high school. Suzie Paradis, the current economic and community development director in Madawaska, accepts an offer from Fort Kent town councilors to become the new town manager. She was one of 26 candidates to apply for the job. 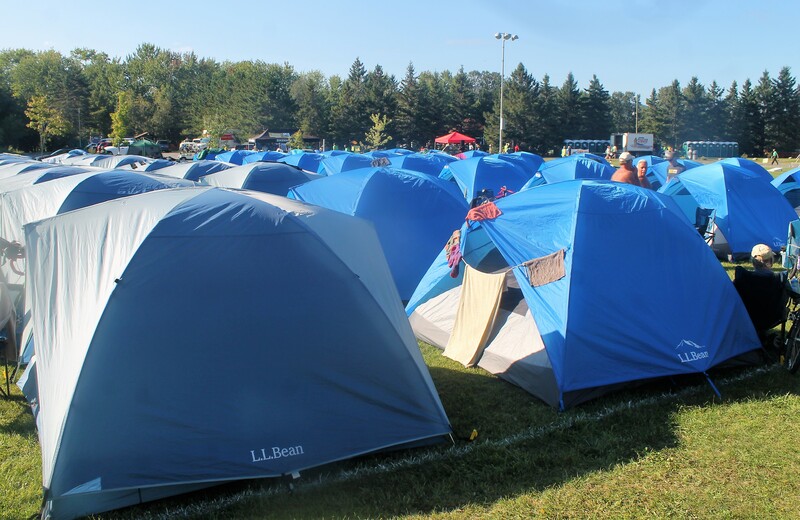 Riverside Park in Fort Kent resembles a “tent city” on Wednesday, Sept. 12, as 450 cyclists participating in BikeMaine 2018 were scheduled to arrive. 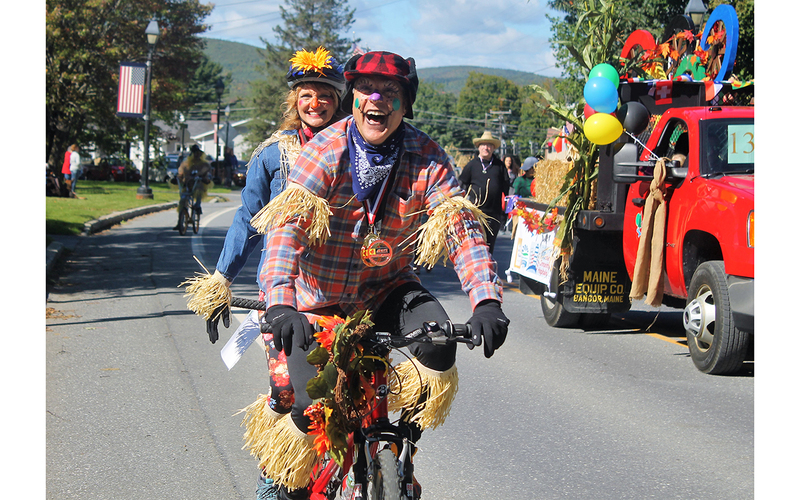 Some 450 cyclists participating in the annual Bike Maine event come through the St. John Valley in early September as part of their 320-mile BikeMaine trek through Aroostook County. As had been hoped, many of the first-time visitors vow to return. The Eagle Lake board of selectmen unanimously approve John Sutherland, an Ashland native to become the next town manager. Her starts in his new job on Sept. 10. Former Wallagrass town manager James Gagnon has served as interim Eagle Lake town manager since late July, about a month after former town manager Sandra Fournier left the position to accept a job as deputy Aroostook County administrator of finance. Fort Kent native Austin Theriault, returning to the NASCAR Camping World Truck Series for the first time since 2016, finished eighth in the World of Westgate 200 at Las Vegas Motor Speedway on Friday, Sept. 14. Property owners on Pelletier Island are petitioning to secede from the town of St. Agatha. Organizers indicate, however, that the action is being taken as much to force town officials into discussions over acquiring the Island Road and making it a public way. There are about 30 year-round residents and more than double that number of summer dwellers who currently share the costs of repairing and maintaining the road that travels 2.5 miles around the perimeter of the island located on Long Lake. The island is connected to the mainland by a causeway. Frenchville voters at a special town meeting Sept. 26 evening overwhelmingly favored discontinuing a portion of Pelletier Avenue as a public way, while still providing a public easement and paying damages of $500 to each property owner on the affected section of road. The 46-8 vote on the warrant article came after selectmen assured residents that the town would continue to maintain and plow the road as had been done for years previously. Officers with the Fort Kent Police Department are now carrying the opioid antidote Narcan, and have received training to administer the medication that can save the lives of individuals in the midst of a drug overdose. Narcan is one of three FDA approved formulations of naloxone medications and is administered as a nasal spray. During a trip downstate with his family, Fort Kent Elementary School student Taydem Daigle was so moved by learning about homelessness, that when he returned to the St. John Valley, he raised $1,000 for Homeless Services of Aroostook. Students at Fort Kent Community High School must now fulfill a community service requirement in order to graduate. The students must complete 30 hours of community service during their high school career — five hours each during freshmen and sophomore years, and 10 hours each during their junior and senior years. Sears Holdings Corp. announces plans on Oct. 15 to close 142 unprofitable stores across the country, including the Kmart in Madawaska, as part of its effort to restructure financially under bankruptcy proceedings. The Madawaska Kmart is the only store in Maine being closed in this round of bankruptcy closures, according to a list posted on the Sears Holdings Corp. website. The website indicates liquidation sales at these stores are expected to begin shortly with the closures to be completed by year end. A sizeable majority of Madawaska residents vote by a show of hands to approve a municipal budget of $6 million at a special town meeting on Oct. 16. More than 70 people turn out for the meeting at Madawaska Middle High School Cafeteria and voice little opposition to most of the items. The new municipal budget is about 11.6 percent higher than the previous budget of $5.4 million, according to Town Manager Gary Picard. As a result, the Madawaska Board of Selectmen set the tax rate at $20.20 per $1,000 in property value, representing a half mill increase over the current $19.70. The Maine Press Association honors St. John Valley Times and Fiddlehead Focus reporter Jessica Potila on Oct. 20 with a first place writing award in its annual competition. The staff of the St. John Valley Times and Fiddlehead Focus picked up three awards in writing and photography from the MPA during the association’s awards banquet at Sunday River Resort and Conference Center in Newry. Potila won first place in the weekly publication spot news writing category for an article she wrote in November 2017 about a car striking a school bus filled with middle school students returning to Fort Kent following a field trip to Caribou. The Brain Injury Association of America-Maine awards Mindy Forino and Suzanne Morneault with the Lewis and Clara Lamont Brain Injury Advocacy Award, at the 9th annual Conference on Defining Moments in Brain Injury on Tuesday, Oct. 16, in Portland. Forino and Morneault started the non-profit organization “All Things Become New,” aimed at providing education about brain injuries and support for those who suffer brain injuries and their caregivers. Senior winger Jacalyn Pelletier of the Fort Kent Community High School girls soccer team scored a first-half goal and the defense, led by sophomore goalkeeper Lyndsay Ouellette and junior sweeper Amanda Thibeault, made it stand up as the Warriors beat Maranacook of Readfield 1-0 in a thriller on a wet Saturday morning, Nov. 3, at Hampden Academy. Coach Doug Cyr’s Warriors wound up 11-5-2 while winning Fort Kent’s first girls soccer state title. Members of the St. John Valley Chamber of Commerce welcome their new executive director Jenn Collin. Collin, 35, moved to Madawaska eight years ago from Atlanta, Georgia. She helped reboot the Girl Scout Troop 161 in Madawaska, and for the last six years, has been the director of the American Legion Riders Chapter 147 and vice president of the American Legion Auxiliary in Madawaska. The majority of voters in the St. John Valley followed the state on Nov. 6 in supporting Democrat Janet Mills over Republican Shawn Moody to become the next governor of Maine. Mills will be the state’s first female governor. A majority of area voters also favored Democrat Jared Golden to replace Republican U.S. Rep. Bruce Poliquin. Troy Jackson retained his Maine Senate seat defeating Republican Mike Nadeau. Students in three Valley school administrative units now have access to a new 2018 Blue Bird transit bus for school related field trips thanks to the efforts of the Valley Unified Regional Service Center which successfully acquired federal grant money to buy the bus. Students in Maine School Administrative District No. 27, Maine School Administrative District No. 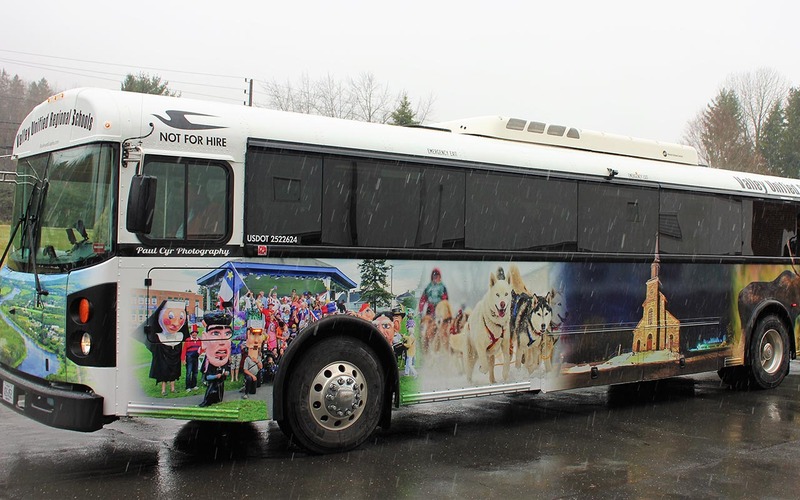 33, and the Madawaska School District will use the bus on school trips for which the district previously chartered buses from private bus companies. 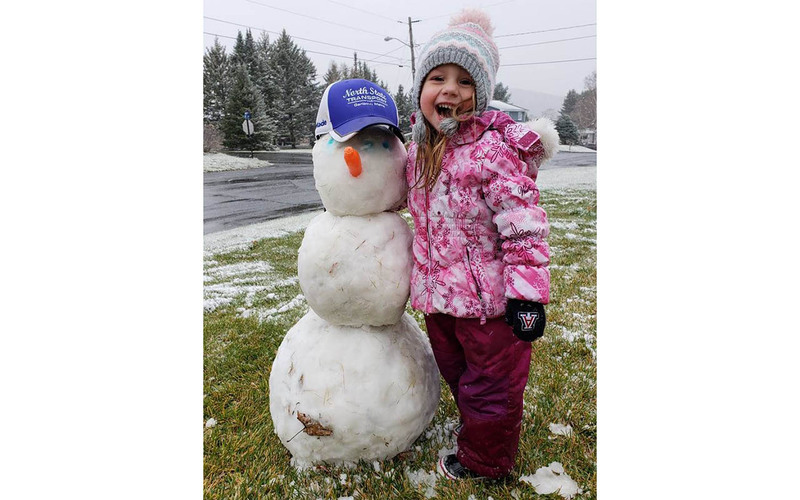 The Madawaska community welcomes a much anticipated addition to the town’s healthcare industry as Fish River Rural Health expanded to include family practice and behavioral health services at its location in the St. Thomas Center. Two and a half years after breaking ground on a new comprehensive health care clinic in Fort Kent, Fish River Rural Health celebrated the grand opening of its expanded Bolduc Avenue Health Center on Nov. 14. The new facility is connected to an existing building on Bolduc Avenue which houses the clinic’s dental services. At more than 10,000 square feet, the expanded portion of the health center houses services such as family practice medicine, osteopathic manipulation therapy, behavioral health and substance use disorder counseling, psychiatric medication management, family dental, family optometry, podiatry, RN care management, and health education and wellness programs. Wallagrass town officials and residents raised $2,350 from a Trash and Treasure Sale and a spaghetti fundraiser held at the Wallagrass Municipal Building/Community Center on Saturday, Nov. 10. Despite snowy weather, about 150 people attended the event. The money raised will be used to help heat the building, formerly the Wallagrass Elementary School. Residents voted to take over ownership of the building from SAD 27 in August 2017. Police are investigate a shooting death in Fort Kent on Nov. 25 as a homicide, according to Lt. Troy Gardner of the Maine State Police major crimes unit. When Fort Kent Police Sgt. Dalen Boucher responded to a 911 call at 12:30 p.m. that day at 485 West Main Street, he found a deceased male in a basement apartment. Following an autopsy in Augusta, the state medical examiner’s office determined that Daren Charette, 49, died of a single gunshot wound. As expected after being sworn in on Dec. 5, the new members of the 129th Legislature elected Sen. Troy Jackson, D-Allagash, as Senate president. Jackson’s election formalized the shift of power in the Senate from Republicans, who had held it for the past four years, to Democrats. In a speech after his unanimous election, Jackson, spoke of uniting the state and the Legislature during a time of great division. On Dec. 9, Eagle Lake native Sarah Mulcahy caps off her comeback from a fractured hip by qualifying for the 2020 U.S. Olympic women’s marathon trials. The 33-year-old Fort Kent Community High School math teacher earned a berth in the trials, to be held in Atlanta on Feb. 29, 2020, by achieving the Olympic “B” standard of 2 hours, 45 minutes, with her time of 2:44:28 at the California International Marathon in Sacramento. Grand Isle firefighters delayed their participation in the 7th annual Grand Isle Light Parade on Dec. 16 to rush out and douse a chimney fire. The parade continued on schedule despite the absence of three of the parade floats that were to be operated by members of the fire department. After the last float passed the scene of the chimney fire, the fire trucks and Knights of Columbus nativity float (driven by firefighter Brian Bouley) fell into line and finished the last leg of the parade as it circled back to the Grand Isle Community Center.